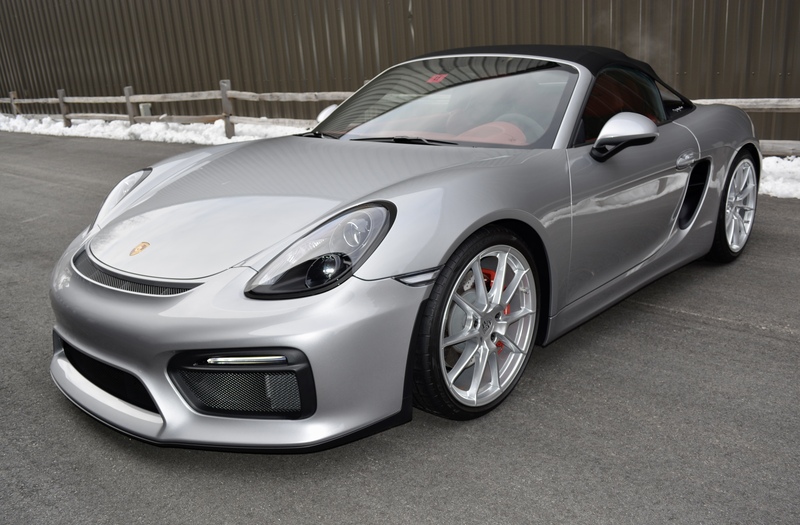 2016 Porsche Boxster Spyder with only 572 miles from the original owner. Finished in GT Silver with black alcantara inserts/garnet red leather interior. 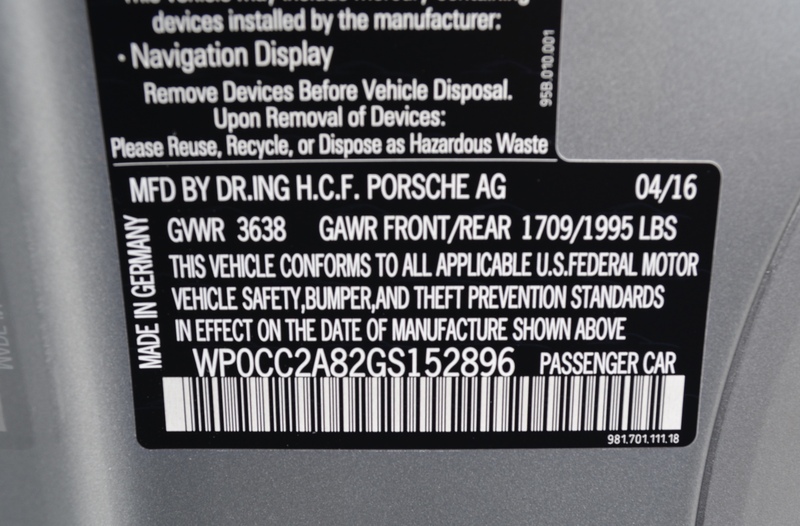 This is a perfect example that has been serviced to Porsche factory specs. Original build exceeded $100,000 with carbon fiber buckets, PCM navigation and backup camera, Bose surround sound, Full nose Expel and CQuartz.